If you pay any attention to the media today you cannot fail but notice the many stories about vicious, aggressive, or dangerous dogs that have attacked or killed innocent people. The Dangerous Dogs Act appears to be no answer. More often than not the victim of these dog attacks will be young child that has been severely mauled or bitten on the face. These stories will often be accompanied by horrifying graphic images of the after effects of the attack and a call for all dogs of a particular type to be destroyed (breed specific legislation). The stories tend to follow a similar pattern in that they will often assert that the dog was normally quiet and peaceable and that the owner kept the dog in a responsible manner, yet was somehow at another location at the time of the attack. The implication of stories like these are that certain breeds of dog cannot be trusted no matter how loyal or dependable they may have been for any number of years previous to the attack. Also no mention will be made of the number of persons already owning a similar breed of dog, often for many years and having had no incident with them whatsoever and how remote the chances are of a similar event occurring if the dog was responsibly owned. Are these stories a true picture of events? It is true that some breeds of dog will spontaneously attack without any provocation? Is it true that some dog breeds are inherently more dangerous than others? Will banning dog breeds reduce the number of dog attacks on members of the public? What do we mean when we say that a dog is dangerous? All dogs can bite. Being bitten is a danger to human health. Therefore if we accept that any dog can bite and that receiving a dog bite is a danger to human health then by definition every single dog is a dangerous dog. Is this really what we mean by the term dangerous dogs? Most balanced individuals would accept that not all dogs are dangerous and that the above definition is absurd. If we accept that the above definition is wrong we must seek to define under what conditions a dog can truly be considered to be a danger to the public. Mankind has been living in harmony with canine companions for several thousand years. Humanity has employed dogs to assist them with a wide variety of tasks from hunting and war, guarding hearth, home and possessions and assisting in all kinds of tracking and detection work. This list barely scratches the surface. As humanity has had such a long and fruitful relationship with the dog something but surely have changed in recent times for a long-time companion to now almost routinely be considered a threat. The identification of the reasons behind this change must surely be of paramount importance, both to protect individuals from unnecessary harm resulting from dog bites, but also to protect animals innocent of any attack from being destroyed merely on the basis of their breed. Most mammals in the animal kingdom have a type of behaviour designed to resolve conflicts without risking unnecessary injury to themselves or others. This behaviour is often called “threat behaviour“. In some respects the terminology here is wrong, although the behaviour may be considered threatening; its real objective is to get a rival to back down without a fight. For this reason it could just as easily have been called “defence behaviour”. An example of this type of behaviour is when a gorilla beats his chest and rattles the branches in the forest. He is effectively saying “I am big and tough, do not mess with me!” For the most part other gorillas observing this behaviour will heed the warning and conflict will be avoided. When conflict does occur it happens because the hierarchy of the group is changing, or an individual feels threatened by some circumstance to such an extent that it is worth their while to risk serious injury and possibly death by engaging in physical conflict. Dogs are mammals too and their reasons for attacking are similar. The process of training a dog is something that occurs over a long period of time and never really comes to an end. How a dog is trained will have a huge impact in its behaviour and how it deals with the world. The effect of the training a dog receives throughout its life is far more important in determining whether that dog will be a danger to the public than any consideration as to its breed. One of the big secrets of dog training is the dogs do not actually desire to be leaders. There is no such thing as a naturally alpha dog. Dogs are actually happiest when they are in a follower role. Contrary to public opinion dogs are not pack animals, but it is a convenient fiction to refer to them in these terms and for this reason I will do so here but please understand that dogs are not wolves even though they look superficially similar. Dog are no more wolves than we are monkeys – both parties shared a common ancestor in the distant past but evolution has taken us down very different paths. Taking a leadership role of a group of dogs, or if you prefer a pack, is a stressful position for an animal to occupy. In the wild environment this would mean taking responsibility for providing access to food and water, shelter and ensuring that the pack avoids danger and that pups are kept safe. This is a large list of responsibilities and places huge demands on the animal in question. If we compare this situation to a domesticated dog then we see quite easily why the follower role makes for a happy animal. A domestic pet is provided with shelter, warmth, food and water, exercise and every other natural need by its owner. To a dog’s mind, a responsible human owner is the best pack leader they could possibly imagine. Faced with such an impossibly high standard, dogs naturally submit to their owners and try their best to please them. There is no need for any kind of cruel or unusual physical punishments. Problems only arise when human leadership is lacking. In the absence of any effective guidance the dog will begin to grow nervous about its future. 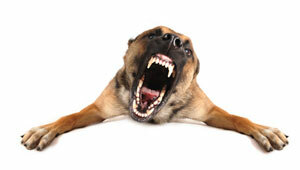 It is this fear that causes many dog attacks. When a human being fails to be an effective leader for a dog this forces the dog to try and take over the leaders role. We have already seen that carrying out this role effectively is extremely stressful to the animal. The only thing that can make this worse is when an ineffectual human leader constantly changes the rules and tries to regain leadership after having proven themselves to be untrustworthy. By the time events have deteriorated to this level the dog will be considering that its life may be under real threat and will act to defend itself. Would you follow someone who was totally unreliable? Well, neither will a dog. Caesar Milan is a well-known and world famous dog trainer. He is often heard to say “I train humans and rehabilitate dogs”. Many people take this as a joke but I believe him to be totally serious. 90% of the problems people experience with their dogs are related to a lack of exercise and all but the tiniest proportion of the remaining 10% are due to a lack of leadership on behalf of the human owners. The small number of remaining cases where dogs have behavioural problems or aggression issues can usually be traced to some underlying medical condition which is causing the dogs constant pain or are upsetting the balance of their mind. No domesticated dog breed is inherently vicious. The single biggest factor that makes a dog aggressive is the training it receives.